Book 3 of the Metaspace Chronicles is now in pre-orders for $0.99 to be available for download Jan 20. (The price for the eBook will go up to $2.99 after it is released.) Now that Smashwords supports assetless pre-release, I’m finally staring at a hard deadline: the final version must be finished, edited, proofed, and uploaded ten days in advance of the release date. 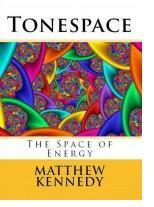 The good news is, on Jan 20 Tonespace will be available simultaneously at Smashwords, iBooks, Barnes & Noble, and Kobo, instead of the usual trickle-out process where books uploaded are on the Smashwords website and then appear on the other sites days later. When you work for yourself as a self-publisher, you might find that your boss is a real jerk like mine. And now he has a deadline to hold over my head. Sigh. This entry was posted on Wednesday, July 1st, 2015 at 9:34 am	and is filed under About Writing, Uncategorized. You can follow any responses to this entry through the RSS 2.0 feed. You can leave a response, or trackback from your own site.